Legends of Aria is a sandbox MMORPG currently in development by Citadel Studios for PC, and it also happens to be a spiritual successor to games like Ultima Online. Previously known as Shards Online, Legends of Aria is a moddable title that shifts focus away from classes, levels, grinding out experience, and other typical RPG trappings in favor of focusing on creating a living, breathing world. Richard Garriott, aka Lord British, is an iconic name in MMO game development, responsible for one of the most influential RPGs of all time: Ultima. From Ultima, to Omega, to City of Heroes, to Tabula Rasa, Garriott's 40-year career is littered with some standout work. He looks to take another stab at shaking up the genre in Shroud of the Avatar: Forsaken Virtues. After raising over $3.3 million through crowdfunding on Kickstarter and its official website, Camelot Unchained has easily become one of the most anticipated MMORPGs ever. 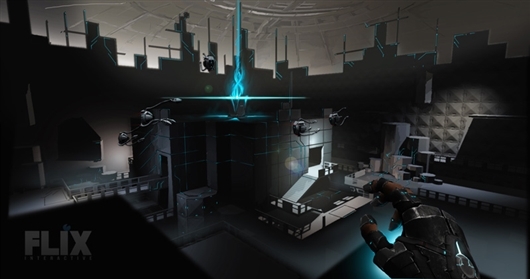 The game is a TriRealm, RvR-focused title from City State Entertainment and is currently in Tech Alpha testing. Gamepedia has partnered with the developers to proudly present the Official Camelot Unchained Wiki, a comprehensive source of game-related information, updated news, and more. Welcome the Official Eden Star Wiki! Here at Gamepedia, the exciting news never stops and now we have the pleasure of announcing the Official Eden Star Wiki through our partnership with Flix Interactive! Currently in its alpha stage and available for pre-order, Eden Star is a gorgeous first person sci-fi game that includes fully destructible and buildable environments. Even invite your friends to join you on your world! Eden Star has successfully become Greenlit on Steam, as well. All pre-orders have access to Combat Tech Demo, which is the very first pre-alpha playable demo of Eden Star. See the Eden Star website for more information on how you can enjoy this fully playable snapshot of what is to come! 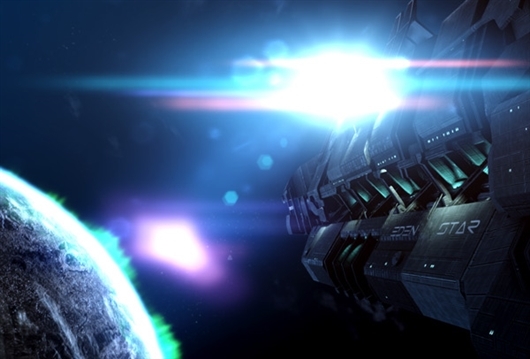 Not only is Eden Star based on creation, but it is a survival game as well. In addition, all combat is physics based, with resource management and dynamic free running -- scale walls and interact with what you build! Eden Star is available to pre-order on their website, and Steam, with purchases through Humble Indie Bundle and Desura later on. The Official Eden Star Wiki is the perfect way the development team can create a more open, more informed relationship with the community. The wiki is a great place to see what's going on while Eden Star is being developed. Keep an eye on the wiki for news and updates. Want to work alongside the dev team by contributing to the wiki? Check out the Help Wiki for all sorts of tutorials! If you want to chat with Gamepedia staff and community, /join Gamepedia in IRC! Andromeda 5 Enters Beta and Launches Official Wiki at Gamepedia! Now in beta, XS Software's multi-platform Andromeda 5 has teamed with Gamepedia to host the official wiki! Playable on iOS, most browsers, Windows and Mac, this free to play sci-fi MMORPG has compelling quests, storylines, team play and player versus player environments. Two factions battle against one another for control of the universe -- be sure to choose your side wisely! Choose one of 15 ships to explore through the 20 available galaxies! Of course, upgrades for your ship are available as well. Missions, or quests, range from solo to tough ones you'll want to bring friends to conquer. In addition, there are also boss fights and team player versus player fights! End game takes place in contested galaxies where your team fights the other for control. Your pilot is customized through 30 talents and skills, divided over four areas. Be sure to head over to the Andromeda 5 website to register for free. When you're done, why not become a contributor for the official wiki? Contributing and editing is super easy -- have a look at the Help Wiki on how to get started! Don't forget that you can always /join Gamepedia in IRC to chat with staff and community members! Hex: Shards of Fate Enters Alpha! Fresh off the trail of a very successful Kickstarter campaign, Hex: Shards of Fate is entering its alpha phase, available to those who were backers. This hybrid MMORPG and TCG offers players the best of both genres: a world ready for adventure and a comprehensive card game, all in one! No where is there a more extensive source of information than The Hex Wiki right here at Gamepedia! Miss your chance to back Hex's Kickstarter campaign? Cryptozoic Entertainment, the studio behind Hex, is offering a "Slacker Backer" option on their website, which includes alpha access! Hex, an MMO-TCG, is two complete games in one. 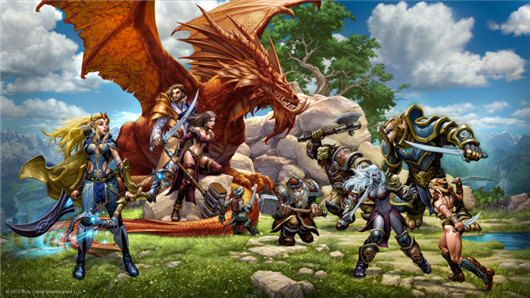 The MMO side has three factions, eight races and six classes. Dungeons and raids are ready for you and your friends to team up and conquer! Work your way through the game's story while enjoying what you want from an MMO. For the TCG, Cryptozoic searched to find the best AI designer out there, to give Hex the best AI any TCG has seen! Hundreds of cards are already in the game to gathered and added to your deck! While you're enjoying the alpha because you've backed Hex's Kickstarter or joined in on the Slacker Backer, know that The Hex Wiki has a dedicated community working hard to keep the information as up to date as possible. However, no community is ever full! There are so many ways to contribute and we make sure you have what you need to be a champion editor. See the Help Page found on every wiki for a good overview. For tutorials, check out the Help Wiki, where you can also see a list of our IRC channels, where you can chat with the Gamepedia community and staff members! Celebrate Prime World's Launch with a Gold Giveaway! Nival, the studio behind titles like Heroes of Might and Magic and Silent Storm is bringing their newest, Prime World, out of beta. As a partner, we at Gamepedia are joining in on the celebration with 500 codes for Prime World Gold to giveaway! Join us in celebrating this awesome MMORPG-MOBA hybrid. Check out the Prime World Wiki to see what Prime World is all about, and when you're ready to claim your gold, have a look at the giveaway page to learn how! Claiming your code couldn't be easier -- log into your Curse account, go to the giveaway page and follow the simple instructions. Have your code for free gold? Awesome! Now to take the next step: go to the Prime World website to download the game, create an account and redeem your code. If you are interested in watching live gameplay, Nival has a Twitch stream just for Prime World! Check out character building, collecting ability cards, and be sure not to miss all of the different modes of gameplay! So what exactly can you get with that 100 free gold? Get started on building a dog or cat house for your trusty companions who follow you into battle, buy custom skins, more heroes, or even Golden Age, which allows players to gain more resources -- perfect for new players! When you're not busy collecting resources, improving your castle and customizing your character, become a contributor to the Prime World Wiki! From the smallest edit to add in a comma to building an entire new category full of information, no contribution is too large or small, and each wiki at Gamepedia is built by the community! To learn more, see the Prime World Help Page, the Gamepedia Help Wiki or chat with employees and community members in #Gamepedia IRC! One of the better established wikis at Gamepedia is the Star Trek Online Wiki, with nearly 130,000 edits and 30,000 articles from a community of almost 7,000! Star Trek Online is an sci-fi based MMORPG developed by Cryptic Studios and published by Perfect World Entertainment. Taking place 30 years after Star Trek: Nemisis, Star Trek Online is set in the 25th century. This free-to-play game allows players to be captains of their own ships, set in the long-loved Star Trek universe! 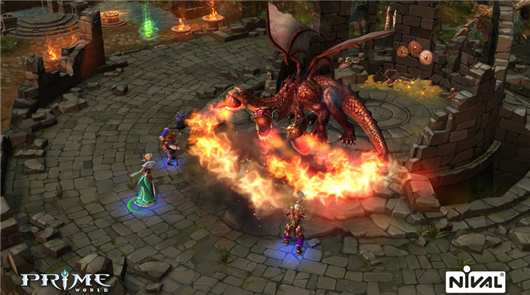 It offers both on and off ship play, a large variety of playable classes, and is currently on its fifth season, or free expansion. When you're not busy exploring the universe, why not join the fleet of dedicated community members ensuring the Star Trek Online Wiki is the most accurate and up-to-date source? Every wiki at Gamepedia relies on the community, so please do not hesitate to lend a hand! For information on how to get started, please see the help page. The Official Wiki for The Repopulation! Every now and again, a game dares to bring its genre back to the roots while offering a unique take on it as well. That is what The Repopulation has done for the MMORPG genre and we are proud to say that the official wiki is at Gamepedia! Inquiry System - gain important information from NPCs regarding people and places through chat bubble dialogs. Siege System - The Repopulation not only allows players to create their own cities, but other players to take them over as well! Fully developed PvE and PvP systems, complete with objectives, three factions, rogue nations, town building and more. The Repopulation is a true sandbox that allows players to choose their path in the world rather than have one handed to them, and offers a great amount of content for every playstyle! This science fiction MMORPG is set in the world of Rhyldan where humans fight for survival after colonization efforts have gone awry. Including a path of non-combat objectives, players can band together to leave their mark on the planet, as well as team up to fight planet's creatures or even each other! If you're interested in learning more about The Repopulation, be sure to sign up for Alpha testing and become an Early Adopter! When you're not fighting for survival in Rhyldan, be sure to check out the official wiki for The Repopulation! Found a great new gun that's not on the wiki yet, or maybe a sentence that just needs some help? Becoming a contributor and joining the community is easy! To get started, have a look at the help page for tips on contributing and editing. This Friday kicks off SOELive for 2013 and will also be one of the most anticipated reveals in MMO history, when EverQuest Next is shown to the public for the first time. Not much is currently known about EQNext, but it won Best In Show for both MMORPG.com and Ten Ton Hammer! The EverQuest Next Wiki at Gamepedia is ready and waiting for the community to start adding in information as it becomes released over the weekend! Fans of the EverQuest Franchise can expect that this is the next game in the series, rather than a reboot. Out of what little tidbits that have been released to the public, one thing we have heard time and time again is that EQNext is not only the newest of next generation MMOs, but it will revolutionize what games should be! For live tweeting during SOELive, be sure to follow @EQNWiki on Twitter for information as it is announced! As it becomes announced, feel free to start editing and adding content to the EverQuest Next Wiki! Our wikis are built from the ground up by the community, meaning that we wouldn't be where we are without help from gamers like you! For information on getting started, please see the help page for tips on contributing. Looking for a place to for discussing EverQuest Next? EQNext Fans is a forum open for fans! With WildStar entering its third closed beta test this weekend, it's the perfect time to showcase the community's efforts on the WildStar Wiki! Player versus player testing gets expanded, in addition to a new zone and battleground being added. This patch is huge, offering a ton of fixes and new content. Equally impressive is what the community has turned the WildStar Wiki into. Every game's wiki is built from the ground up by dedicated players, which is what makes Gamepedia such a special place. The WildStar Wiki is no exception! This community-driven wiki is constantly growing as new information becomes available. WildStar is a sandbox MMORPG developed by Carbine Studios and published by NCSoft, expected to be released this year. Join the CBT3 discussion at WildStar Forums!